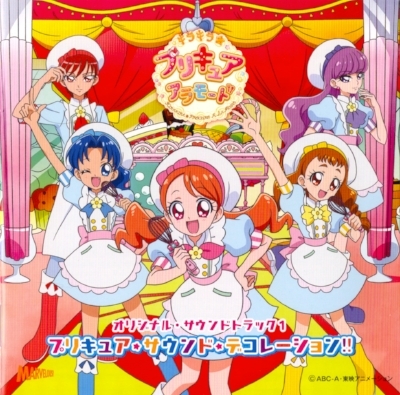 On this week's Suteki Jam, GK delivers an update on ST3K before launching into this week's selection - music from KiraKira Precure A La Mode. The latest Precure series ditches the single composer trend from years past, and adopts three composers and a collective to score the latest effort. Apprehension turned to adoration as fans came to see that all was well in the world of Precure music as our new composers bring the same amount of heart and sincerity that we've been seeing for 13 years. Tune in next week for the thrilling continuation of wondering whether or not ST3K will be fixed. We're taking bets now! As always, be sure to follow us on Twitter @sutekijam, email us at sutekijamradio@gmail.com or leave us a review on iTunes.